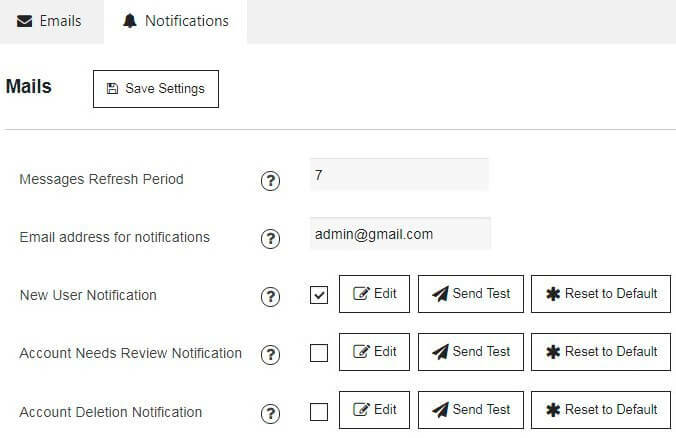 Mails Page includes Emails and Notifications Settings. 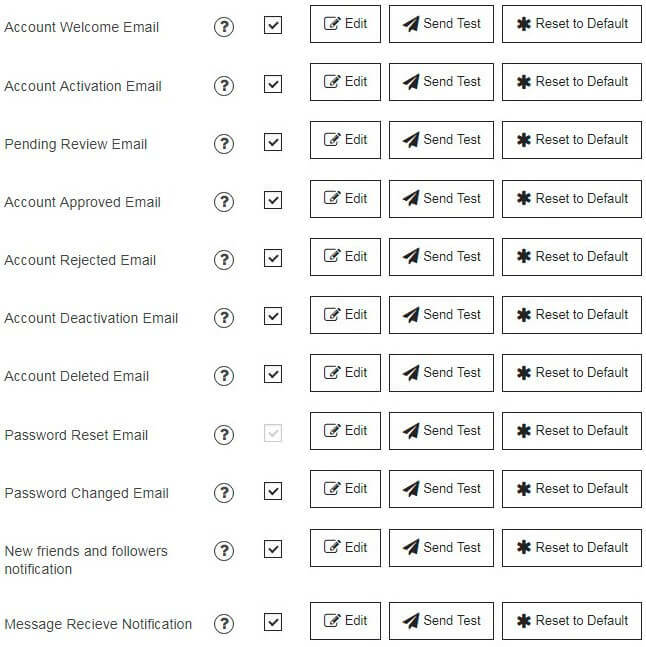 New friends and followers notification – email will be sent to user if new friends or followers give the request for adding. Message Recieve Notification – email will be sent to user if someone send a message. 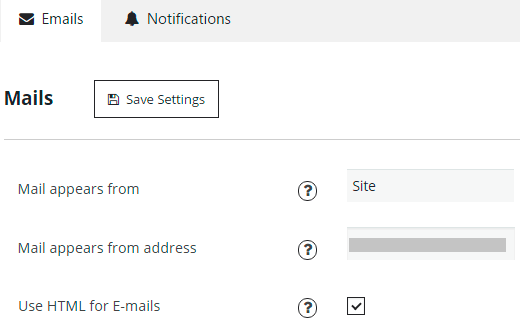 Specify Email address for notifications.